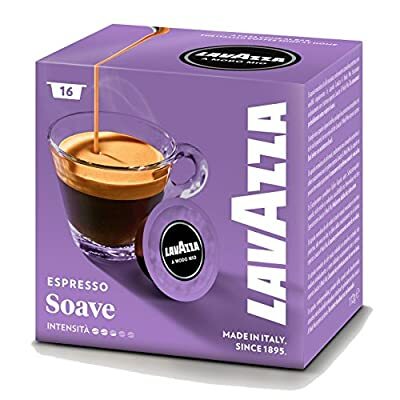 Lavazza A Modo Mio Delicati Soavemente, 16 Capsules: Mild, light-bodied with floral notes. 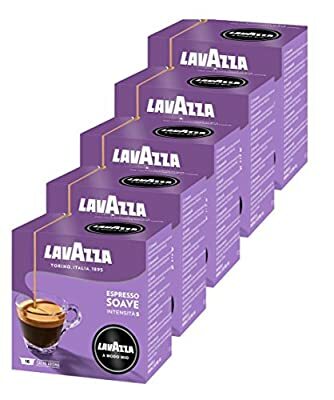 A mild and balanced blend, rich in floral aromas. 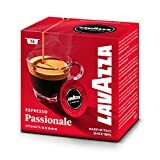 Its delicacy brings out the sweetness and aromatic scent of its fine origins. A refined and sweet aftertaste gives an elegant finish, for a mild, delicate espresso, to enjoy at any time of day. 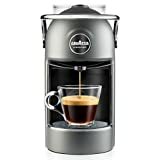 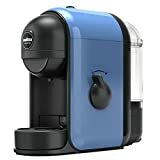 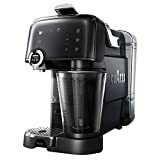 Only for use with Saeco Lavazza A Modo Mio coffee machines. 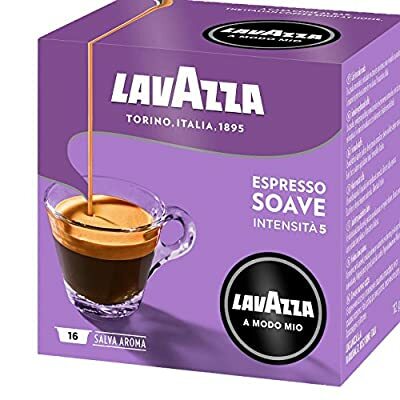 , Ingredients:Lavazza A Modo Mio Delicati Soavemente, 16 Capsules: Roast and ground coffee. 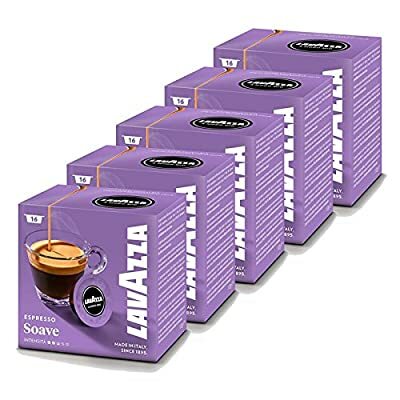 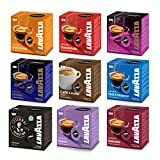 (100% Arabica) , Pack contains:5 x 1 pack Lavazza A Modo Mio Delicati Soavemente with 16 capsules for 16 servings. A mild and light-bodied espresso with floral notes, in convenient coffee capsules That's Soave, by Lavazza A Modo Mio A blend of sweet Brazilian Arabica coffee is enhanced by fine Central American beans packed with flavour and floral notes; these qualities, along with the delicate roast and carefully ground beans, create an agreeable, balanced espresso for those who love a lighter, milder taste.